Horse and foal pendant made in 14k yellow gold. Pendant measures 15/16" wide x 11/16" tall. Our horse and foal pendant is proudly made in the U.S.A.! 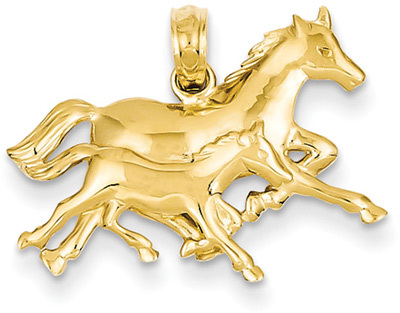 We guarantee our Horse and Foal Pendant in 14K Gold to be high quality, authentic jewelry, as described above.